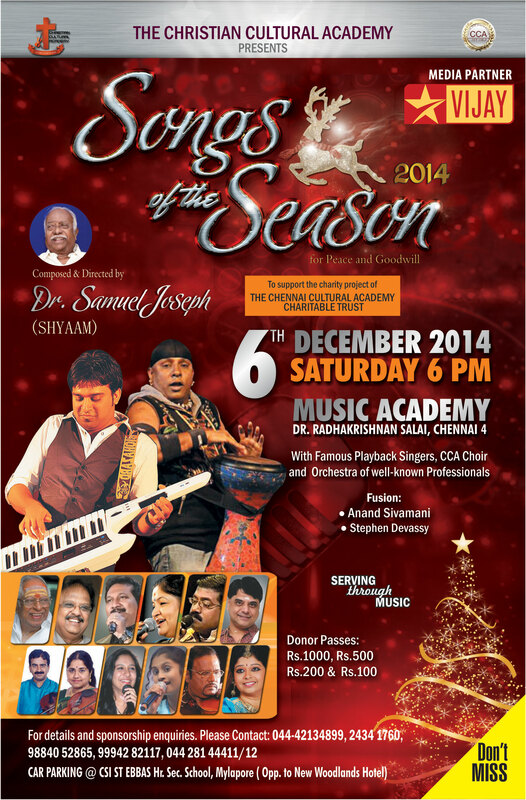 CCA'S Annual Christmas Programme is to be held at Music Academy on 6th Dec. 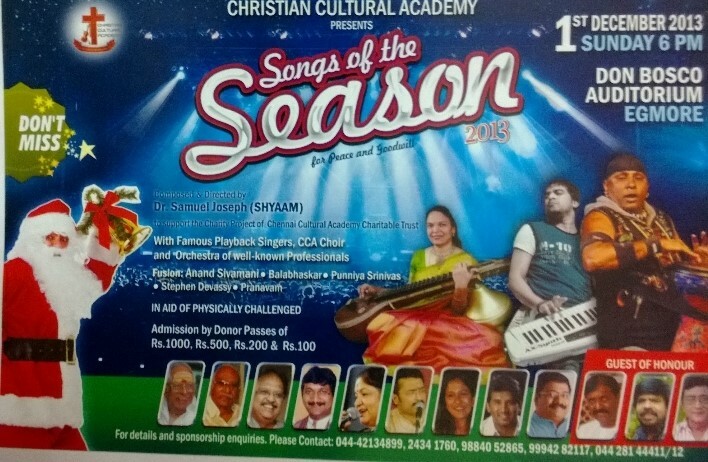 Date : Sunday 1st December 2013. 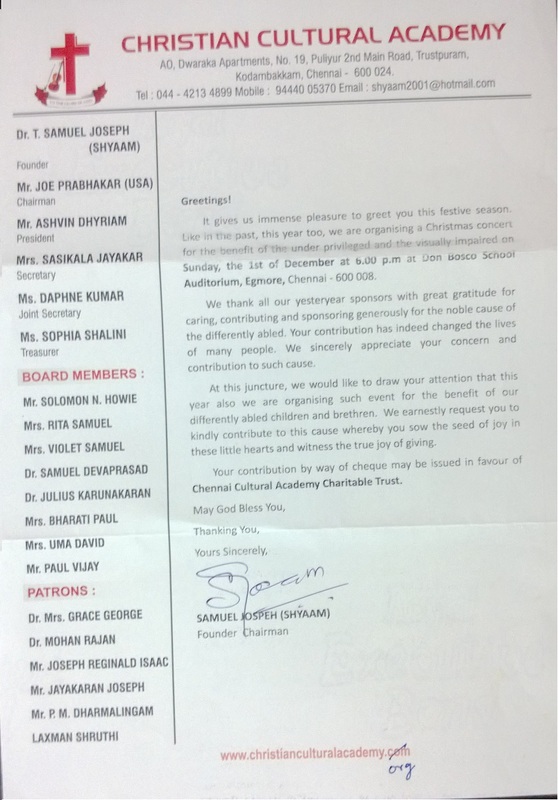 Place : Don Bosco School Auditorium, Egmore .